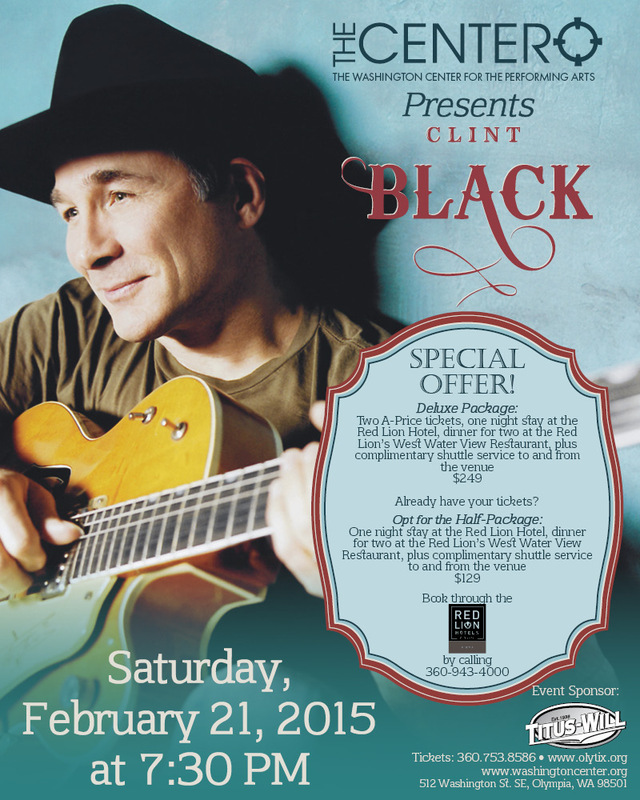 Saturday, February 21 at 7:30 p.m.
Multi­-Platinum CMA and ACM award ­winning Country musician and singer Clint Black showcases his stripped­ down “Evening With” show in one of his favorite venues in the Pacific Northwest. Did you know he has sold more than 20 million albums worldwide, and has more than 100 songs garnering “mainstream big hit” on national Country music radio stations? His latest concert and the Washington Center for the Performing Arts highlights all of CB’s gifts as a performer; if you’re a fan or a even just a great music aficionado, this will be your most memorable experience of 2015. Click here for more information.